With all of the new Android devices being released almost weekly, and the major decline in Apple’s stock since last fall, you would think that Apple is about to go out of business. This, of course, is an exaggeration as Apple just release their Q2 (Second Quarter) earnings numbers on Tuesday and they beat Wall Street’s expectations. Apple accrued a profit of $9.5 billion and a revenue of $43.6 billion. These revenues are slightly higher than what experts were predicting, but not quite as high a profit as Apple has had in the past. This is welcome news for the technology giant that has seen its stock drop over 300 points from a high of $705 a share to a low of under $400 a share since last September. Much of the concern has been over the fact that iPhone sales have been in decline, though still a massive source of revenue. iPhone sales for the last quarter were over 37.4 million units. While this is a great sales number, the growth of iPhone sales has slow quite a bit. 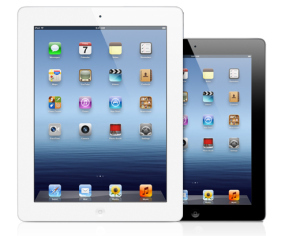 One product, however, that showed a tremendous growth rate was the iPad. Compared to last year, iPad sales were up 65% to over 19 million units sold. The main thing that can be taken away from these figures is that Apple is still selling millions of products, but some new, “innovative” features may be necessary for continued growth. The increased competition from new, high quality Android phones such as the Samsung Galaxy S III has had a major impact on iPhone sales. Many experts are wondering if Apple will be able to keep up with the “cutting edge” Android devices that are taking more and more of the smartphone market. Many are also speculating if Apple will release an iPhone with a larger display this year to keep up with the trend of larger smartphone screens, but CEO Tim Cook shot many of those theories down. Cook, after being asked about possibly shipping an iPhone with a 5 inch display, went on to list many of the tradeoffs and problems that come with a display that size. He detailed resolution, color quality, brightness, and so on as being issues that would keep Apple from shipping a display that size “while these tradeoffs exist”. This may sound ridiculous to those Android customers that have displays over 5″, but Apple has shown that they are “slow” to adopt a trend until it is proven and established. The best example of this would be their decision not to implement LTE connectivity into their devices until it was a “proven” and widespread standard. One thing is certain after this reporting of revenue from Apple, they are still an extremely valuable company. Posting a revenue of over $43 billion is something that is truly “mind-boggling” and is almost hard to comprehend. That being said, Apple will need to “up its game” with their new product releases and updates this year. One area that both customers and critics agree needs to be updated is the operating system on Apple’s mobile products, iOS. 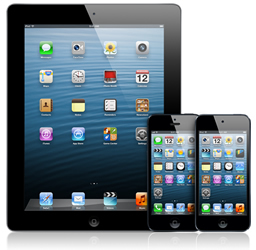 Since the iPhone’s debut in 2007, iOS has been updated each year with a host of new features and abilities but has not had a drastic U/I (user interface) overhaul. Many are pointing to the customizability of the Android operating system as something that Apple needs to adopt in their new version of iOS that will most likely be released this fall. It remains to be seen what Apple will actually do, but the anticipation for their updated products and software is sure to be widespread.